New Zealand is incredible and the South Island alone is famous for its mountains, lakes and glaciers. It’s home to some of the most amazing landscapes you’ll ever lay your eyes on. If you’re planning an upcoming trip and are looking for the absolute must-sees then read on – here are ten experiences that will take your breath away. Mount Cook is the highest mountain in New Zealand and has been used in the past as a practice run for climbing Mt. Everest. While we’re not suggesting you attempt a hike all the way to the top there are lots of easier hiking tracks in the area that will take you to lookout points across landscapes that are out of this world. The Aoraki Mount Cook National Park is also home to skyscraping mountain peaks and permanent snowfields. A trip to a glacier should be on any travellers short list for New Zealand. Depending on where you are based visit Fox Glacier or the Franz Josef Glacier. If you can then try to book yourself on a Glacier Walk for a once in a lifetime experience. The native bushland surrounded by clear turquoise waters that flow through the gorge make this a worthwhile trip that won’t disappoint. The short walk takes you across the swing bridge and through the bush before you arrive at a totally unique lookout point. This exquisite spot is 25km ot the east of the town of Hokitika. Explore this stunning region by foot, boat or by air. This UNESCO World Heritage site is home to breathtaking landscapes, ice-carved fiords, lakes, valleys and pristine mountains. 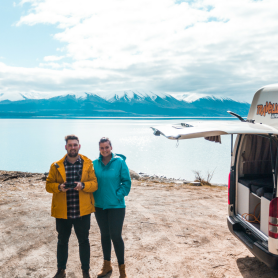 Hire a campervan in New Zealand and spend a few days camping out in this area to make sure you get to experience it’s full beauty. Milford Sound is only a few hours from Queensland, but you’ll feel like you are a lifetime away from the modern world. Milford Sound is an incredible fiord that flows out towards the Tasman Sea. It’s magnificent and totally peaceful at the same time. There are a couple of spots on the South Island where you can catch a glimpse of these amazing little birds. Try the Royal Albatross Centre just outside of the city of Dunedin, their viewing platform allows you to get a close up view without disturbing the penguins. The waters of Lake Tekapo will make you look twice, trust us, you won’t believe how blue the water looks here. This lake is three hours drive south west of Christchurch, making this a doable day trip if you’re based in the city. If you are in the south east area of the South Island then plan a trip to the Catlins. This green and luscious area is well known for its waterfalls, beaches, and the chance to spot seals and penguins. It’s an area of absolute natural beauty. One of the best ways to truly experience this island is to hire a campervan and head out on an exploratory road trip. 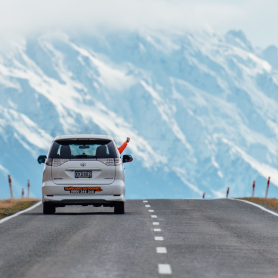 The drive along the Kaikoura Coast will take you on a route past mountains and epic rivers on one side and the Pacific Ocean on the other – it’s absolutely stunning. This is a popular tourist hotspot, but don’t dismiss it just yet! This beautiful lake is set against the backdrop of alpine mountain ranges. Take a trip on, ‘The Lady of the Lake’, an Edwardian steamer boat for a 90 minute cruise on the lake. Cruises depart everyday. 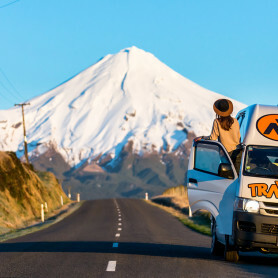 Make sure you get to see as many of these destinations as possible by hiring a campervan for your New Zealand trip. 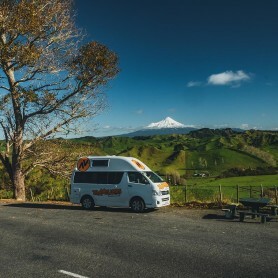 Get a quote on campervan rental in New Zealand today.